India’s leading telecom service provider Bharti Airtel on Wednesday received a formal communication from the Department of Telecom (DoT) for the allotment of additional spectrum to the company in five circles. These five circles are West Bengal, Gujarat, Uttar Pradesh (west), Assam and Haryana. Bharti Airtel had applied for a total of ten telecom circles across the country. The other circles which are expected to get additional spectrum in a couple of months are Rajasthan, Andhra Pradesh, Karnataka, Bihar and Tamil Nadu. This move by Bharti clearly indicates that company wants to spread the Airtel fever in every nook and corner of the country and even our government is supporting this. Time for existing telecom service provider in these areas to buckle up as they are going to face serious competition from this telecom giant. MTNL is truly trying to compete with the biggies in terms of service offerings. With the caller tunes being rolled out some time back, now the public operator is set to offer TV to its prepaid and postpaid users. Initially it plans to provide 5 channels to users, mainly sports and entertainment channels. The service can be availed by GPRS enabled phone users by just downloading a software. Good thing about the service is that the telecast would not download stuff from the internet and thus you won’t have to worry about the charges. Also MTNL would be launching other channels in the coming months. As for the charges to activate and use the service, we have no clue about that. No matter which phone you are using, if it has GPRS, this one would be available to you. Yaa that’s what the Press Release says. Great isn’t?? Is your better half or someone special one of the main reason for your inflated mobile bill? Well, here are some of the solutions given by Tata Indicom in form of special call and SMS packs. MTNL’s Dolphin and Trump are the latest entrants in the GSM circuit to slash their local calling charges. Where operators like Airtel and Vodafone reduced their local calling rate to Re 1, MTNL has gone a step further and has reduced its local calling charges to 90 paise/min. This would mean that all Dolphin subscribers can make local calls at 90 paise/min instead of Rs. 1.20 and all Trump subscribers too can call at the same rate instead of the previous rate of Rs. 1.50. Another important piece of information is that the above mentioned changes do not apply for users under the One India Plan and One India Roaming Freedom plan wherein the local call charges are already Re 1. This postpaid plan by BPL may not be well publicized in the open, but it is placed in the brochures available at the BPL stores. This one’s called the Loop 299. As the name goes, this plan charges users with a monthly rent of Rs.299 and provides a bundle of benefits too. Let’s start off with the other charges. This plan provides CLIP charges free of cost, so you have saved Rs.75 there. Apart from this users can avail of Rs.299 of free calls to other BPL numbers. As for the call rates, one can call BPL numbers @ 10Paise and all other calls are charged at a flat rate of 40Paise. After hooking up with this scheme you can SMS nationally at 50Paise, now that’s a great deal. We say: The plan is a must use and one of those that you must get your hands on a soon as possible. The plan doesn’t only provide full value for money, but also provides all round benefit through slashed call rates and free services. Don’t wait, just grab this one soon. Gallery review is back. 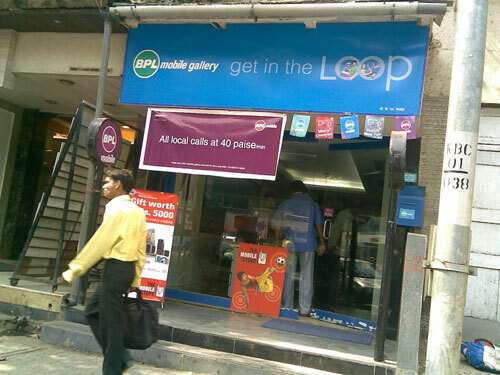 We have reviewed a couple of galleries before and this time it was BPL’s turn to be scrutinized. This gallery is located at S.V. Road, Andheri (W). Placed in the middle of one of the most crowded streets of Mumbai this one attracts quite a lot of people. Blogging is emerging as a recent trend all over the world. 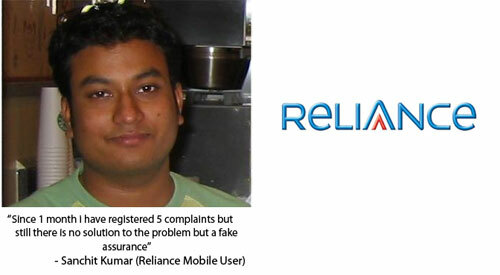 So Reliance Mobile came up with an idea to give budding bloggers a helping hand with its MBlog. This is a stage for bloggers to publish their content and share it with the world. To make it easy to understand, Reliance gives you the freedom to put content online. This content includes photos, sounds, text and videos. You can do so from your cellphone through SMS or MMS. This would then be showcased on the Reliance Blog (Internet) and would be open for comments to other bloggers or uesrs. Reliance mobile users can now make STD calls from their Reliance phones without activating the STD service and this facility is provided to Reliance users through the STD calling cards. Reliance promises that customers using STD calling cards would incur no additional monthly rental, no processing/administrative fees and no bill shocks.